Laguna Hotel is Port Moresby’s newest boutique hotel. We are conveniently located just seven minutes from the airport in the commercial district, with an abundant choice of shopping venues nearby. Our 60 rooms have been purposefully and stylishly designed for the corporate and leisure traveler alike, with each room featuring contemporary furnishings that provide comfort and convenience; providing a place to unwind or to catch up on work. A combination of fine service and access to facilities such as high speed WiFi, room service, cable TV and easy access to our in house restaurant La Cafe will ensure you feel at home throughout your stay. 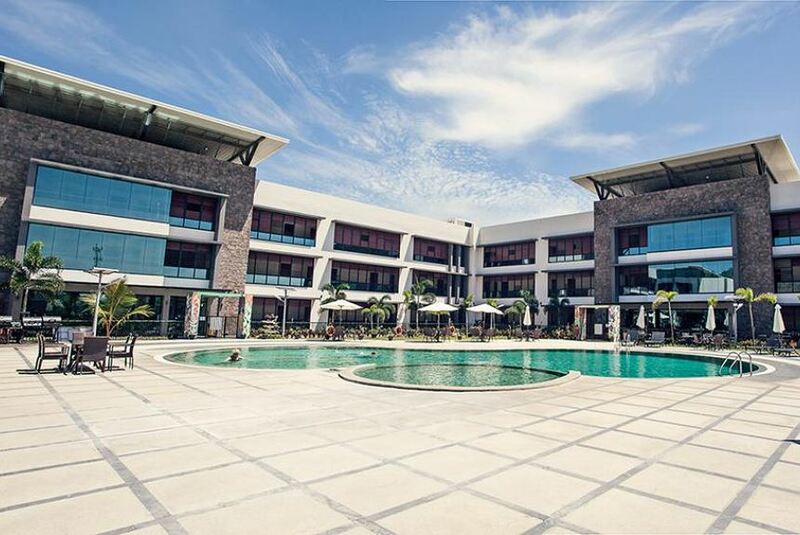 Other hotel facilities include; Lagoon poolside bar & swimming pool, children’s pool & playground facilities, a ballroom floor complete with three function rooms and a boardroom.